Ever Wonder What It’s Like to Drive in DC? 5 Comments on Ever Wonder What It’s Like to Drive in DC? 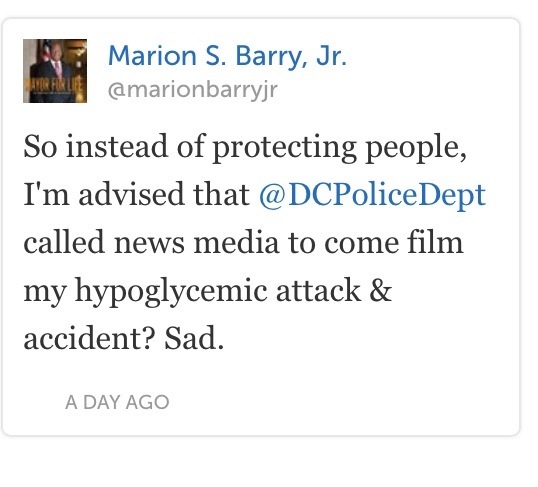 Mostly it’s parking tickets and speed cameras, unless you’re Marion Barry. Then it’s all driving your car the wrong way down a road and smashing into other people, and a couple grand in unpaid tickets. You’re welcome, world. He’s our gift to you. Marion Barry / Rob Ford ticket for 2016? I don’t see what could go wrong! I’ll campaign for it. YOLO.